How Much Compensation Can I Get For Car Park Accident Claims? Car park accidents are common. In fact, it is estimated that 1,400 vehicles are pranged in the UK per day. In most cases, the end result is a few scratches on your vehicle. However, there are a lot of instances whereby injuries occur because of car park accidents. If you have been injured as the result of an accident in a car park that was not your fault, we can help you to get the compensation you deserve. Read on to discover everything you need to know about car park accidents compensation claims. A guide to claiming compensation for car park accidents. 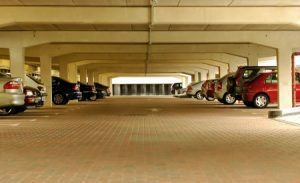 What is a car park accident? Have you been injured in a car park accident? What should you do if you have been injured in a car park accident? Can you sue for accidents in a private car park? Starting your car park accident claim. What can I claim for after a car park accident injury? Injury from car park barrier can I claim? Injury caused from a pothole in a car park, can I claim compensation? Have you had a Shopping Centre car park accident? Slip trip fall in a car park can I claim compensation? Who can claim for an injury due to an accident in a car park? How Much Compensation Can I Claim for a car park accident? Have you been injured while working in a car park? Did you have an accident in a Pub car park? What evidence will I need if I have had an accident or injury at a cark park? No Win No Fee car park accident claims. From car park pot hole claims, to Q park accidents and NCP car park accident claims, we have an extensive amount of experience dealing with all types of accidents that have occurred in a car park. Our approach is different from other law firms: we always put the client at the forefront of everything we do. We recognise that you are going through a difficult period, and that is why we aim to handle every claim as quickly and efficiently as possible. We also work on a No Win No Fee basis, which offers you a great deal of financial protection and ensures you don’t have to worry about money while making your claim. Plus, it is always our aim to secure the maximum car park accidents lawsuit settlements, so you can be sure that you will get the full amount of compensation you are entitled to. Car park accident both reversing. Trip or slip in school or college university car park, as well as any other private or public type of car park. Injuries due to poor car park maintenance. Parking space too small caused accident in car park. Hit on head by car park barrier. Pedestrian hit by a car in a car park. No matter whether another driver has pulled out carelessly and hit your vehicle, or you have been injured due to a faulty car park barrier, you can claim so long as someone’s negligence has resulted in the accident. Car park accident who is at fault? You must have been injured as a consequence of someone else’s negligence, error, or carelessness. You cannot claim if you caused the incident. The accident happened within the past three years. This is the time frame for all personal injury cases. You have seen a doctor or a medical professional for your injuries. If you have been injured in a car park accident, refrain from saying too much at the scene. You don’t want to accidentally say something in the heat of the moment that could jeopardise your case. If possible, take photographs of the scene to use as evidence and get the contact details of anyone in attendance. The simple answer is “yes” you can. We have helped people to claim for many types of accidents that have occurred in private car parks. This includes slip trip fall in private car park. If you have fallen because of poor maintenance, the owner of the car park will almost certainly be to blame. In order to make a claim for compensation, you need to show that someone else is responsible for the incident. Most car parks will have car park CCTV footage, which can really help to strengthen your case. There are other forms of evidence that can be used to bolster your payout chances too, which are explained in further detail below. Nevertheless, to start your claim, the best thing to do is simply give us a call, and we will be with you every step of the way. General damages: The pay out your will receive for your injuries, pain, and suffering. It is calculated based on the medical report provided by your doctor. Special damages: This is the amount of money you will receive for any out of pocket expenses incurred because of the accident. This includes the likes of the cost of not being able to work, vehicle repair costs, counselling expenses, travel costs, and childcare expenses. As long as the expense was a result of the incident, you can claim for it. Medical Expenses: The sum you will receive for both ongoing medical costs such as prescription expenses to treat your car park injury, and emergency treatment received as a result of your accident. 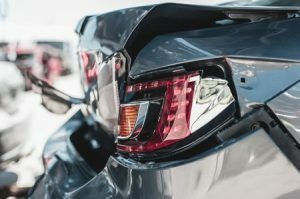 “A car park barrier hit my car, can I make a claim?” A lot of people assume that the only types of car park accident claims you can make are those involving crashes, such as car park accidents while reversing. However, there are many other types of car park accident claims, and injuries involving car park barriers are included in this. The owner of the car park has a responsibility to ensure their car park is maintained properly, and if they have failed to do this and you have been injured as a result, you can make a claim. It may be that the manufacturer of the car park barrier system is to blame. But, not matter whose fault the door lies at; you will have a strong case to be able to secure a payout if you have been injured due to a car park barrier. Car park accidents long term effects are not uncommon with these types of injuries, and so payout can often be high. As mentioned in the previous section, the owner of any car park has a responsibility to maintain it properly. If the car park has not been maintained properly and you have been hurt because of potholes, you can claim against the owner of the car park. Have you had an accident in a shopping centre car park and been injjured? If so, we can help you to make a claim. We are experts in car park accidents law, and have helped many people to secure shopping centre car park accident compensation. No matter whether the shopping centre is at fault for poor maintenance or another driver caused the incident, we will help you to build a solid case. We have dealt with many slip, trip, and fall claims, including slip trip falls in restaurant car parks. With such claims, it is important to establish car park accident fault. Did you slip because of your own carelessness? If so, you won’t be able to claim. However, if there was a pothole in the ground, or the car park was unsafe for any reason, you will be able to secure compensation. Can you sue for car park accidents? You will be able to sue if you were the injured party and the injury wasn’t your fault. This includes car park accidents passenger injuries, and car park accidents in rental cars. You can also sue if you are a parent and you have a child under the age of 18 that was injured. Finally, if you have lost a family member due to a wrongful death or fatal accident in a car park, you can also make a claim on their behalf. Remember, the most important question to ask yourself with car park accidents; who’s at fault? You need to prove that someone else was to blame in order to make a claim. Mental anguish £3,550 Fear of dying and expectation of the end of a life. Punitive damages £1,000 - £275,000 There is a possibility in certain cases of a higher maximum pay out, this depends on the complexity of the case. Benefits loss £5,000 - £500,000 There is a possibility of a maximum pay out that is higher in certain situations, the calculation is based on the actual amount of lost income. Anticipated loss of earnings £10,000 - £400,000 It is possible for a larger maximum pay out if the victims future earning potential is higher. This will be calculated on current pay band and the victims future prospects. Severe neck injuries £42,550 - £112,750 Ranges from injuries causing dislocations or fractures to those associated with incomplete paraplegia or resulting in permanent spastic quadriparesis. Moderate neck injuries £6,000 - £29,250 Injuries range from those that have been exacerbated by a pre-existing condition to dislocations and fractures that cause severe immediate symptoms. Minor neck injuries Up to £6,000 Ranging from injuries where a full recovery is made within three injuries to those with recovery within one/two years. Loss of legs (both) £183,000 - £214,350 This is the appropriate award where both legs are lost above the knee or one leg has been lost above the knee at a high level and the other leg has been lost below the knee. Amputation (below knee) of both legs £153,200 - £205,300 The severity of the amputations will be important, with an award at the top of the bracket appropriate where both legs are amputated just below the knee. Above-knee amputation of one leg £79,700 - £104,500 The award will depend upon such factors as the level of the amputation; the severity of any phantom pains; associated psychological problems; the success of any prosthetics; any side effects such as backache and the risk of developing osteoarthritis in the remaining joints of both lower limbs or in the hips and spine. Amputation of one leg (below the knee) £74,475 - £101,075 The straightforward case of a amputation below a knee with no complications would justify an award towards the bottom of this bracket. Less severe injuries to the leg £13,650 - £21,100 Fractures from which an incomplete recovery is made or serious soft tissue injuries. Severe knee injuries £53,000 - £73,125 Serious knee injury where there has been disruption of the joint, the development of osteoarthritis, gross ligamentous damage, lengthy treatment, considerable pain and loss of function and an arthroplasty or arthrodesis has taken place or is inevitable. Moderate knee injuries £11,375 - £19,9000 Injuries which involve torn meniscus, cartilage or dislocation. This can result in wasting, minor instability weakness or another future (mild) disability. Severe arm injuries £73,100 - £99,500 Injuries which do not require amputation but that are very serious and result in the injured person being not much better off than where the arm could have been lost; for example, a serious brachial plexus injury. Arm injuries resulting in substantial and permanent disablement £29,800 - £45,500 Serious or complex breaks/fractures of each or one of the forearms These can result in residual disability that is either cosmetic or functional. Less severe arm injuries £14,600 - £29,800 Significant disabilities, for which a significant level of recovery is anticipated or will have been required. Simple fracture of a forearm £5,000 - £14,600 Injuries covering a simple break/fracture. Severe wrist injuries £36,200 - £45,000 Injuries resulting in complete loss of function in the wrist for example, where an arthrodesis has been performed. Minor wrist injuries £2,675 - £3,600 Minimally displaced or undisplaced breaks/fractures, as well as soft tissue injuries. These may require bandages or plaster for some weeks, but result in a virtually full (or complete) recovery up to a year or so after the event. Car park accidents court cases also include employees that have been injured while working at a car park. If you have been injured due to a driver, you will be able to make a claim against them. If you have been injured due to the working environment itself, you will be able to claim against your employer. A lot of people are fearful of doing this, but there is no need to be. Your employer will have insurance in place, and they will recognise that you deserve a payout. Plus, if they were to dismiss you, they would only land themselves in further trouble with the law. We have plenty of experience in securing compensation for pub car park accidents. When alcohol is involved, the risk is always heightened, especially if someone is stupid enough to get behind the wheel after a few drinks. If you have been injured in a pub car park, whether as the result of someone who has had too much to drink or not, we can assist. What evidence will I need if I have had an accident or injury at a car park? We provide free car park accident advice, and we will be able to guide you on the best way to build a case that ensures you get the maximum payout you deserve. Of course, this involves gathering key evidence. So, what does this include? Photographs – It is a good idea to take photographs at the scene. This can help to strengthen your case. If your injuries are visible, you should also take photos of them. Medical report – Needless to say, you need to see a doctor after you have been involved in any type of accident. They will put together a medical report, which will outline your injuries and recommended treatment. This will be used to determine how much compensation you will receive. Witness statements – If anyone witnessed the accident, it is advisable to get their contact details so that they can make a statement. Proof of expenses – You will be able to claim for any out of pocket expenses you have encountered because of the accident. However, you do need to have proof of this, so make sure you keep your receipts and any other relevant documents. vehicle pranged at least once, and 31 per cent of those state that it has happened more than one time. Plus, it is estimated that there are 1,400 car park prangs every day, costing drivers an average of £716 every year. You may be wondering where this is most likely to happen, and the answer probably won’t shock you: the supermarket car park. 48 per cent of motorists state that this is where their car was pranged. We have helped many people claim for accidents in supermarket car park, so if this has happened to you, please get in touch. While the damage caused is often minimal, and the guilty party’s car park accident insurance should cover the expense of this, there is no denying that it is a great inconvenience. Plus, there is always the risk of injury too, which can cause a huge disruption to someone’s life, which is why compensation is a must. One of the key benefits of using our service is the fact that all of our lawyers work on a No Win No Fee basis. This applies to all cases, from nursery car park accident claims to airport car park accidents. This means you do not need any money to start car park accident claims. If your case is a success, the legal fee will be deducted from the compensation awarded. If for some reason we are unable to secure compensation for you, you won’t need to pay any legal fees. This offers a significant degree of monetary protection. It eliminates the worry a lot of people have, i.e. that they will end up out of pocket by making a claim. You can be sure that this will not happen when you choose us. Plus, it gives you the peace of mind that we won’t waste your time either. We only take on personal injury claims that we believe have a genuine chance of being successful. We are experts in car park accident legal cases, and if you are ready to start your claim, all you need to do is give us a call on 0800 073 8804. We will happily answer any queries you have and take you through the steps involved in making a claim. One thing you can be sure of is that we always aim to handle every case in the most efficient and stress-free minor, enabling you to focus on your recovery while we focus on securing the maximum payout. No matter whether you have had a car park reversing accident or you have been hit on head by car park barrier, we can help you to get the compensation you deserve. Give us a call today to get started. How much compensation can i claim for a car accident claim? Have you been a driver or passenger or even a pedestrian who has been injured and wanting to make a car accident claim from a car park accident contact us today. Do I have to report to the police an accident that happened in a car park? This link explains whether you have to report a car park accident to the police. It provides you with the necessary steps to take. This link takes you to the UK government’s Depart for Transport’s publications. It is a great way to stay up to date with everything regarding the transport system in Great Britain. This link takes you to a search feature, which enables you to find the nearest minor injuries unit. It is good to have this link handy should an accident occur. Whiplash Compensation Find out how much you can claim? If you have suffered from a whiplash injury due to a car park accident contact us today to make a no win no fee whiplash claim.